Q: How to embed a YouTube video to flash flip magazine? 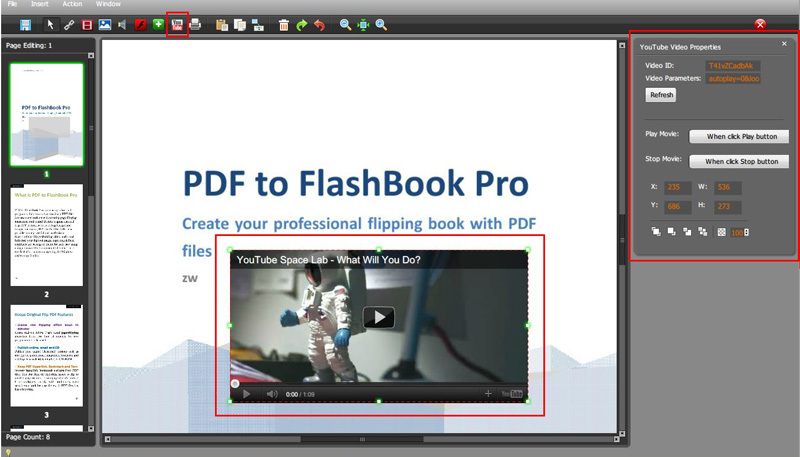 One of the PDF to FlashBook’s important feature is to embed YouTube video to your flash book. If you found a pretty fun video from YouTube and want to embed it to your flip book and share with your friends, this feature is quite helpful. 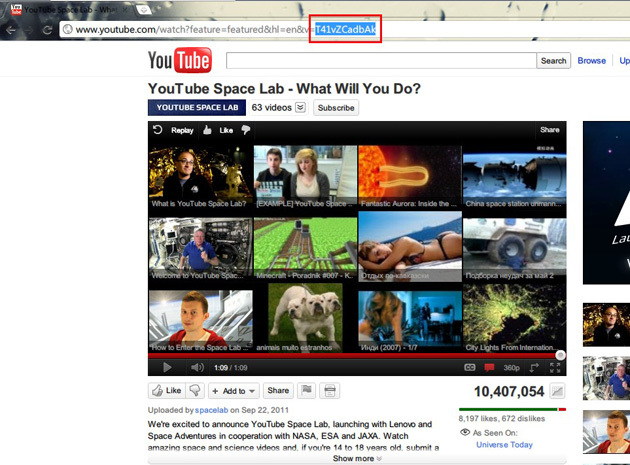 Embedding a YouTube video doesn’t require the URL address, it only need a video ID. Open a random video and look up at the address bar, characters like below image is the video ID. Step3: At the right side, a little window was shown, enter the video ID in the blank and click “Refresh”; continue customizing the video properties. Click save and quit the window.